I am extremely pleased at the enormous success of yesterday's mobilization for the Diada [Catalan National Day]. I think one can neither argue about nor minimize the enormous and important success that the mobilization had yesterday on the streets of Barcelona. I would also like to express my appreciation as the President of Catalonia, not only because there were so many people, which is good by definition, but above all for the civility, for the demonstrations of civility that the demonstration showed at every moment. I believe that we have offered to the world and to Europe the image of the best Catalonia and a very powerful message of a desire for freedom and to be a normal people among the countries and nations of the world. I believe that this message was unequivocable, accompanied by the fact that we did it with civility, something that will help us by showing the process as one full of hope and the way that the Catalan people behaved, which I insist, was exemplary. Yesterday's demand was both very clear and very normal. A nation that to continue to be itself and in order to progress simply asks to be a state, which is an instrument that allows us to continue to exist in the future as we have in the past and to be able to progress. This was a demand that was both very clear and very normal and no one should try to minimize its importance, on the contrary. What we do need to minimize is a bit of the drama. Now there are all sorts of reactions, and there will be some loud ones, and some even hysterical ones, but this must be presented as a normal process. It's a nation that has existed for many centuries, that has its own identity, culture, and language, recovered institutions, that wants to make its own way, continuing to exist in the future and progress, and for that, one needs tools. And yesterday, "tools of state" were demanded. So, importance, yes, but as much as we can, without drama. I can tell you right now that there are questions that have no answer. We can enter in an acceleration of some things that everyone wants to know right away, but the way in which the process has gone in Catalonia, I insist that some questions do not yet have answers. 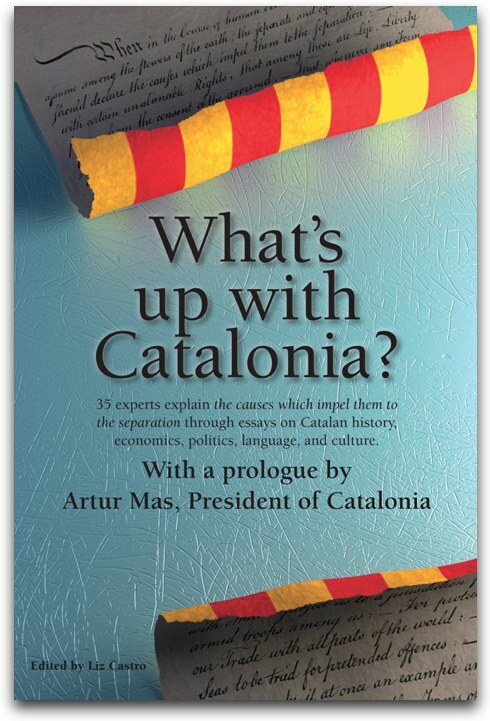 During 30 years, part of Catalonia's energy as a country have gone to help the Spanish state be a better country, with the hope that these efforts would help configure a state that was more open and respectful toward Catalan aspirations and in a territory in which progress could be achieved from the point of view of the progress of our self-government. We have spent 30 years in this way, and now there has been a change of direction, a new path. I described it when I spoke about the national transition. Spain went through its transition 30 years ago. Now it's time for us to undergo our own national transition. Now, 30 years later, we are, obviously, in a different process. It goes together with the concept of national transition, but also with the fact that in this new direction, we must focus our efforts on this Catalan process. It's where we have to put all of our capacity and energy as a people. And we the people and the institutions have to do it together. It's a process filled with difficulty and obstacles and it's very good that the people and insittutions go hand-in-hand on this new path. A new path that has been mapped out for quite a while. Now what we need to do is start following it. I said before yesterday's demonstration that the voice of those who went out yesterday would be my voice, that their desires were my desires, and that the cry that was heard yesterday would also be mine. And that is true. We will act in consequence and intelligently with this process of national transition that we have begun and that I announced at the beginning of this legislature. A process that is closely aligned with what happened yesterday. I also said that Catalonia had never been closer to its desires and objectives of national plenitude. After yesterday, we are even closer. Yesterday was not just a random event. The enormous mobilization and success is a very decisive step on the path toward national plenitude. Nothing will be easy, but everything is possible. This phrase sums up the path and the situation in which we find ourselves and that we are beginning. Why? Because Catalonia does not now have at its disposal the majority of structures of a normal state, and we have to start constructing them and that's not done overnight. It won't be easy because the Spanish State won't make it easy for us, it never has, we don't think that will change, and that is another of the difficulties that we will have. It won't be easy because if you analyze the processes that have happened in the EU from a sovereigntist point of view, you will see that there is not a single precedent of a nation like the Catalan one that has initiated a process of sovereignty within the EU itself. Therefore, it won't be easy in that sense either. But, I insist, even if there are many obstacles and difficulties, and few precedents for our situation, even if the Spanish state views the process with animosity and significant opposition, anything is possible where there's the will, large majorities, and the ability to resist. I believe that that which we have as a country, we probably have to widen a little bit more, if these majorities are majorities that can be reinforced even more, they will be welcome. But we're already there. Now it's about simply giving it more breadth. Despite the enormous difficulties in which we live and the rough spot in which we presently find ourselves, these moments are also very interesting. Yesterday, the people who came out on the street weren't just angry, hostile, ignorant people, they were people with huge civic spirit and patriotic feeling. People who love their country and who are ready to defend it and the only thing they want for Catalonia is what other countries in the world have. Despite the moment in which we live, as a president I am profoundly proud to be presiding over this country at this moment and if at any moment it can be considered that presiding over Catalonia is a huge honor, it is precisely the moments like this one in which we are living. 1. You did not speak of the "fiscal pact"
The fiscal sovereignty of a country forms part of a process like this one, another thing is whether you can encourage or discourage a process like this one. I believe you can't, but obviously it could be dampened. Because the most urgent issue is that of fiscal sovereignty and the largest injustice can be found there. Therefore, I believe that there is no contradiction. When the Parliament proposes the fiscal pact in line with the economic agreement, that is within this process. We only have to ask ourselves if this is possible or not and if the fact that it is not possible will accelerate the process which is already in course. But they are not contradictory concepts because one can't have sovereignty without having fiscal sovereignty. Today Catalonia is lacking in elemental state structures, and on the fiscal side that means tributary agencies. I want it understood that we are at a moment in which it's necessary to offer a lot of information without conceding anything. We have to explain things just as they are and what we want is to transform them. In this transitional road, fiscal sovereignty is a fundamental landmark. 2. The priority now will be this tributary agency, but it won't be the final stop in the process? Yesterday, many party leaders and members of government said that the demonstration signified a turning point. Do you think it's probable that in the next elections your program includes the goal of our own state? We'll talk about the next elections when we're there. We are at a complicated enough moment to talk about that. We'll talk about it in 2014, in principle, even though everyone has it in their head that it could be sooner, depending on the situation in which the country finds itself. Let's keep an eye on the path we're on, that I think is unequivocable. You heard me speak about the political transition in more poetic terms of our trip toward Ithaca. And we are not far from that. We must understand that surely the people who have the responsibility to lead the country sometimes express ourselves in a way that is different from the slogans. It's simply another way to express ourselves, but it all goes on the same path. After ensuring that the Spanish state either cannot or won't find room for Catalonia's national aspirations, it's logical that a living people says that we won't give up being what we are and what we want to be because our efforts have not always been successful. We have a path, we are, we want to continue to be, and we want to be in a better situation and to progress. This is increasingly true across Catalan society. People who weren't because they were more in line with happily constructing a Spanish State and that will resolve our problems of self-government, progress, linguistic respect... This has been the big bet for many years of a large portion of the Catalan people and that is what is changing. When that changes, it's when there's an attempt to begin a new path. And here we are. When you speak of transition, one knows that you move in another direction, but you also know that you have to do it with a cadence and rhythm because these processes cannot be improvised. 3. Yesterday's demonstration will make you change the tone and content of your meeting with [Spanish president] Rajoy on the 20th? Not very much, because what happened yesterday in Barcelona didn't surprise me. What's more, I tried to encourage it as much as I could from my position. In the times that are coming, we need the institutions and the citizenry to proceed hand-in-hand because it is a mutual mobilization. We need to carry out our process not against anyone else, but as our own self-affirmation, and in that way we will do it with more cheer. I cannot change the tone of the interview very much because I was already planning to present him the things just as they are. The only thing that I will be able to add is: don't just listen to me, to CIU, to the Catalan political parties. Listen to the people of Catalonia, and listen to them carefully, with the will to understand them. Don't get mad at the first change because you don't like it, listen to it and put solutions on the table, if you have any. And obviously, I will speak to him about the fiscal pact in line with the economic concert that is within our mandate, and I will fulfill that part, because it's inscribed in the process that the country is following. 4. If there is no agreement, will there still be your own plan? In the plans for national transition, can there be a referendum on independence? There are questions at this moment which don't all have answers. The topic of our own treasury is key in whatever case. We will try it via the pact, but despite everything, Catalonia has not lost overnight its will to dialog and negotiate, but in whichever case, Catalonia needs state structures and particularly in the fiscal realm. It's not a demand meant to make anyone angry, the process must be part of a process of democratic normalcy. Catalonia wants the tools it needs to be able to be what it is and to move forward. Therefore, in whichever case, having our own treasury is necessary. 5. If Rajoy says No on the 20th, will you convoke elections? If that happens, we'll talk about it on the 20th. We'll see what happens. It's evident that from their point of view, perhaps they were surprised. I will lay it out and explain my vision of what is happening in Catalonia. Until now, I believe that there has been little listening, maybe after what happened yesterday, they will listen more. And from here, I will make an evaluation. Celebro moltíssim l’enorme èxit de la mobilització d’ahir amb motiu de la Diada. Crec que no es pot discutir ni minimitzar l’èxit transcendent i enorme que la mobilització va tenir ahir en els carrers de BCN. Voldria més a fer un agraïment com a president de CAT no només pk hi havia moltíssima gent, que ja és bo per definició, sinó sobretot pel civisme, les mostres de civisme que en tot moment van presidir aquesta manifestació. Crec que hem ofert al món i a Europa la imatge de la millor Catalunya i un missatge molt potent d’anhel de llibertat i de voler ser un poble normal entre els països i les nacions del món. Crec que aquets missatge va ser inequívoc, acompanyat del fet que ho féssim presidits pel gran civisme, cosa que ens ajuda a que aquest procés sigui vist com un procés carregat d’il·lusió i d’una manera de comportar-se del poble català que és, insisteixo, exemplar. El clam d’ahir va ser molt clar i alhora molt normal. Una nació que en definitiva per seguir sent ella mateixa i per progressar demana simplement tenir un estat que vol dir un instrument per poder seguir sent en el futur com hem estat en el passat i poder progressar. Avanço que ara hi ha preguntes que no tenen resposta. Podem entrar en una acceleració d’algunes coses que es volen saber totes i alhora, però tal i com ha anat el procés de CAT insisteixo que algunes preguntes ara no tindran resposta. CAT porta 30 anys on una part de les energies com a país s’han destinat a ajudar al conjunt de l’estat espanyol a ser un país millor, amb l’esperança sempre que aquestes energies acabarien configurant un estat més amables i respectuós de cara a les aspiracions catalanes i en un terreny on es pogués avançar des del punt de vista del progrés del nostre autogovern. Portem 30 anys així i ara hi ha hagut un cop de timó, un rumb nou. Jo el vaig descriure quan vaig parlar de la transició nacional. Espanya va fer la seva transició fa 30 anys. Ara ens toca a nosaltres de fer la nostra transició nacional. Ara efectivament 30 anys desprès estem, òbviament, en un procés diferent. Lliga amb el concepte de la transició nacional, però també amb el fet que en aquest nou rumb hem de destinar les nostres energies en aquest procés català. És on hem de posar totes les nostres capacitats i energies com a poble. I ho hem de fer el poble i les institucions agafats de la mà. Es un procés carregat de dificultats i obstacles i és molt bo que el poble i les institucions agafades de la ma facin aquest nou camí. Un nou camí que ja va un cert temps estava traçat i està traçat. Ara el que hem de fer és anar-lo seguint. Vaig dir abans de la manifestació d’ahir que la veu dels que va sortir ahir era la meva veu, que es anhels eren els meus i que el clam que se sentis ahir era el meu també. I així serà. Actuarem en conseqüència i a més amb coherència amb aquets procés de transició nacional que hem començat i que vaig anunciar a principis de legislatura. Un procés que lliga estretament amb el que va passar ahir. Vaig dir també que mai com CAT havia estat tan a prop en els seus anhels i objectius de la plenitud nacional. Després d’ahir encara hi estem més a prop. Ahir no va ser una cosa qualsevol. L‘enorme mobilització i èxit és un pas molt decisiu en la línia d’apropar-se a la plenitud nacional. Res serà fàcil, però tot és possible. Aquesta frase resumeix el camí i la situació en el qual ens trobem i estem endegant. Pk? Perquè CAT no disposa en aquets moment de la majoria d’estructures d’un estat normal i les hem d’anar construint i això no es fa de la nit al dia. Durant 30 anys no ho hem fet, ara cal començar-ho i això requereix el seu ritme i cadència, sense perdre l’objectiu de dotar Catalunya d’estructures d’estat- No serà fàcil perquè l’estat espanyol no ens ho posarà fàcil, mai ho ha fet, ara preveiem que tampoc i aquest es un altre de les dificultats que tindrem. No serà fàcil pk si analitzeu els processos que hi ha hagut a la UE des del punt de vista de la sobirania veureu que no hi ha ni un sol precedent d’una nació com la catalana que inici un procés de sobirania dins la pròpia UE. Per tant, en aquests sentit tampoc serà fàcil. Però insisteixo, encara que hi hagi molts obstacles i dificultats, que hi hagi pocs precedents en la nostra situació, encara que l’estat espanyol veurà el procés amb una animadversió i oposició significativa, tot és possible si hi ha voluntat, grans majories i capacitat de resistir. Crec que això ho tenim com a país, probablement encara ho hem d’eixamplar una mica més, si aquestes majories són majories que encara es reforcen més, benvingudes siguin. Però ja ho tenim. Ara es tracta simplement de donar-li més amplitud. Malgrat el moment que vivim, com a president em sento profundament orgullós de presidir aquest país en aquests moments i si en algun moment pot pensar que presidir CAT es un grandíssim honor, és precisament en moments com aquests que vivim. La sobirania fiscal d’un país forma part d’un procés com aquest, una altra cosa és si pot alentir o aturar un procés com aquest. Jo crec que no, però evidentment el pot amortiguar. Pk la urgència més gran està en la sobirania fiscal i la injustícia mes gran esta aquí. Per tant crec que no hi ha una contraposició. Quan el Parlament fa la proposta de pacte fiscal en al línia del concert econòmic, això esta dins aquest procés. Només ens hem de preguntar si això serà possible o no i si el fet de no ser possible accelera encara més el procés que ja esta en marxa. Però no són conceptes contraposats pk no hi pot haver sobirania sense sobirania fiscal. Avui CAT no té estructures d’estat elementals, i en l’àmbit fiscal són les agències tributaries. Que s’entengui que estem en un moment que cal fer pedagogia positiva sense renunciar a res. Hem d’explicar les coses tant com són i el que volem és transformar-les. En aquest camí de transició la sobirania fiscal és un element cabdal. 2. La prioritat ara serà aquesta agencia tributaria, però no l’estació final del procés? Ahir molts dirigents del partit i membres del Govern deien que la mani significava un punt d’inflexió. Veu probable que en les properes eleccions el seu programa inclogui l’objectiu de l’estat propi? De les properes eleccions en parlarem quan arribin. Estem en un moment prou complicat com per parlar d’això. Ho parlarem el 2014, en principi, tot i que tothom té al cap que pot ser abans, depèn de la situació en que es trobi el país. Fixem-nos en el camí on estem, que crec que es inequívoc. Em vau sentir parlar molt de transició nacional i en termes més poètics del nostre viatge cap a Ítaca. I no estem molt lluny d’allà. Entenguem que segurament les persones que tenim la responsabilitat de conduir el país ens expressem a vegades de manera que no es la mateixa que els eslògans. Simplement es una manera diferent d’expressar-se, però tot va cap al mateix camí. 3. La manifestació d’ahir li farà canviar el to i el contingut de la reunió amb Rajoy del dia 20? No molt, perquè el que va passar ahir a BCN a mi no em va sorprendre. És mes, vaig intentar estimular-ho tant com vaig poder des de la meva posició. Pels temps que venen necessitem que institucions i ciutadania vagin molt agafats de la mà perquè es una mobilització mútua. El nostre procés no l’hem de fer en contraposició amb ningú, sinó en clau d’autoafirmació pròpia i així el farem amb més alegria. Jo no podré canviar massa el to de l’entrevista perquè tenia previst plantejar-li les coses tal com son. La única cosa que hi podré afegir és: no m’escoltis només a mi, CIU, als partits catalans; escolta el poble de CAT i escolteu-lo atentament, amb ganes d’entendre alguna cosa. No us emprenyeu a la primera de canvi perquè no us agrada, escolteu-lo i poseu sobre la taula solucions, si les teniu. I òbviament li parlaré del pacte fiscal en la línia del concert econòmic que es dins aquest mandat, i el compliré, perquè s’inscriu en el procés que està seguint el país. 4. Si no hi ha acord, hi haurà una agenda pròpia igualment? En els plans de la transició nacional hi pot haver un referèndum per la independència? Hi ha preguntes que en aquest moment no totes tindran respostes. El tema de la hisenda pròpia és clau en qualsevol cas. Ho intentem en la via del pacte, perquè malgrat tot CAT no perd de la nit al dia la seva voluntat de diàleg i pacte, però en qualsevol cas Catalunya necessita estructures d’estat i també en l’àmbit fiscal. No és una reclamació per empipar ningú, el procés s’ha d’inscriure en un procés de normalitat democràtica. Catalunya vol els instruments que necessita per poder ser el que es i progressar. Per tant, en qualsevol cas la hisenda pròpia es necessària. 5. Si el dia 20 Rajoy diu no, convocarà eleccions? Si això passa en parlarem el dia 20. Ja veurem què passarà. Es evident que des de l’òptica d’allà potser els ha sorprès. Jo li plantejaré i li explicaré la meva visió del que passa a CAT. Fins ara crec que s’ha escoltat molt poc, potser a partir del que va passar ahir s’escoltarà més. I a partir d’aquí els faré una valoració.